El Nino is developing, will this winter rival past greats? You’ve heard there’s an El Nino hitting this winter, so the waves are going to be pumping, right? Well, not exactly. El Nino is simply a term referring to warmer than normal water temperatures over the equatorial Pacific along with the subsequent response from the atmosphere it entails (where the storms/high pressure are). While strong El Nino conditions do correlate well with surf being larger than normal, El Nino’s don’t ‘hit’ and those years falling into the weak to moderate varietal have a tendency to go both ways. Some weak to moderate years are better than the norm, while others are pretty abysmal. So while El Nino conditions are favored to develop in the next couple months and stick around for the winter of 2018-19, the projections across the models favor a weaker El Nino event. 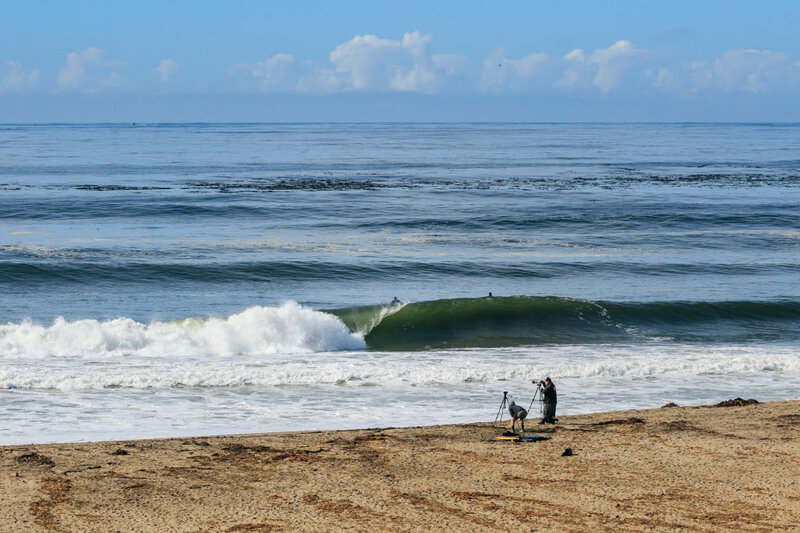 With the widespread of surf outcomes, weak to moderate El Nino’s make for shaky foundations when issuing a forecast spanning the entire winter. Boring as it may be, something in the realm of ‘normal’ is favored for the lot of locations we’ll feature here – Hawaii, the Pacific Northwest, Northern and Central California, and Southern California. Below, normal, or better than average, the winter is the undisputed king for size potential. Looking back at the top ten largest swell events for each data point over the last 35+ years, we found 95% occur in the winter. An interesting aside, the remaining five percent can be accredited to tropical swells. Another thing we noticed when looking back at other weak to moderate El Nino events since the early 2000’s is the tendency to have a stronger December, while surf heights are down but holding fairly steady for January and February. While this isn’t too far off the mark for Hawaii and is the climatological norm for places like the Pacific Northwest, Northern and Central California, and especially Southern California are usually best after the holidays. An in-depth look at the numbers for weak to moderate El Nino events favors a slightly slower than normal winter in terms of size, and fewer days fair or better. A best-case scenario seems it would be a winter more akin to the weak El Nino of 2014-15. That saw Hawaii in more size and close to the same number of quality days of surf, while the entirety of the West Coast was close to the norm in size but trounced the normal number of quality days.